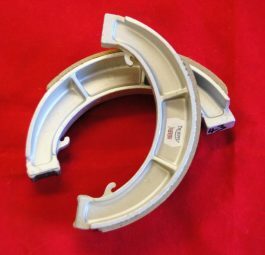 Triumph Brake shoes 8″ single leading shoe, fully floating type. Pair. 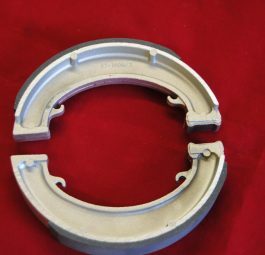 Triumph 7 front’ brake shoes, lined fully floating type, for use in all 7′ drums, pre ’68. Per pair. 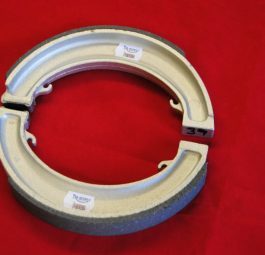 Triumph 8′ wide-type floating brake shoes, used with single flanged hub, ’65 – ’67. per pair. 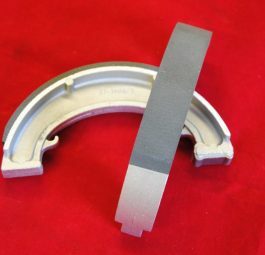 Triumph 8′ twin leading brake shoes, T100R, TR6, T120, ’68 on. Per pair. 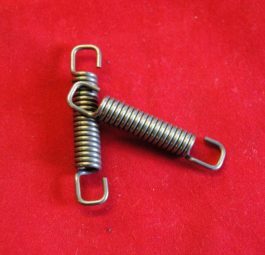 Triumph Brake shoe return spring, suit all, per pair. 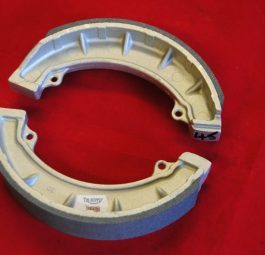 Triumph 7″ brake shoes, lined, fully floating type. Suit all rear wheels except sprung hub. Pair. Triumph Rear brake shoe return springs, suits all, per pair.